The Cosmetics and Beauty industry is a focus industry for Techni-Pak as our capabilities are well aligned with the needs of both large and emerging companies. High quality packaging is a prerequisite for success for our customers and they rely on Techni-Pak to deliver. As an example, our shrink wrap quality is second to none in terms of presentation and durability. Plus our flexibility allows us to package any product to meet the various demands required by individual retailers. 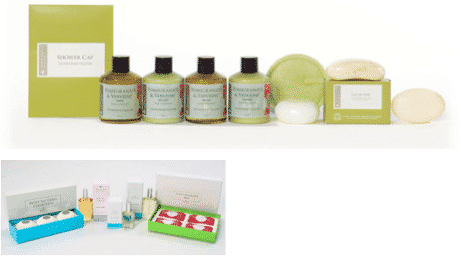 Our customer, a premium provider of soaps, lotions, and beauty aids, needed a contract packager to assemble a private label spa amenities package for a luxury hotel. The gift set included eight components that required specific placement within a custom designed case. Techni-Pak received all the components and built several thousand sets in a fraction of the time and cost that our customer could have done on their own.